Get ready for a big blast of summer. 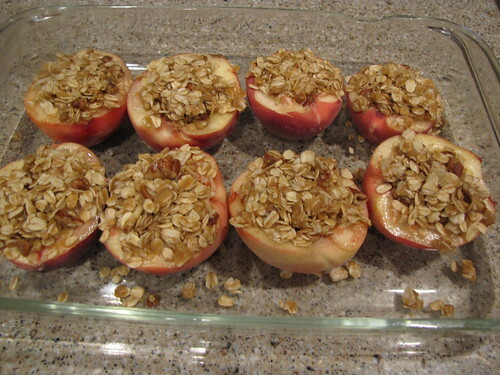 You must, MUST make these while fresh peaches are in season. The peaches at my store were so perfectly ripe that you could smell them across the produce section. That’s when you know you need to put some in your bag and bring them home. I supposed if we were in a fancy, hoity toity restaurant, we would call this Deconstructed Peach Crisp since it has all the bits for the crumbly topping smooshed onto our peach halves. I’ll just call it delicious and let you get right to it. 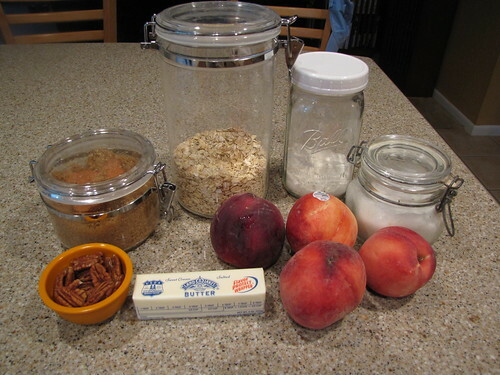 Peaches, Oats, Flour (GF is fine), Brown Sugar, Salt, Butter, and Pecans. Vanilla Ice Cream for topping (not pictured). 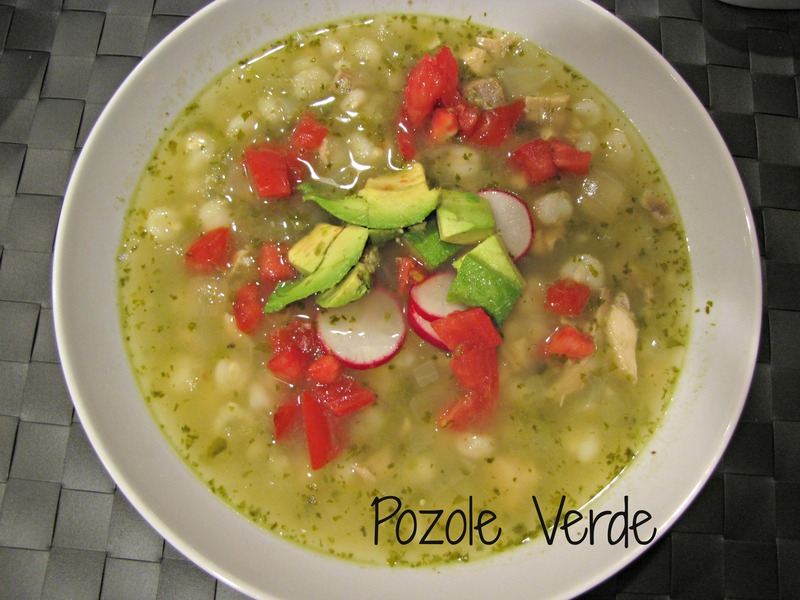 The beauty of this recipe is that it takes mostly pantry ingredients. No need to buy anything special or out of the ordinary. 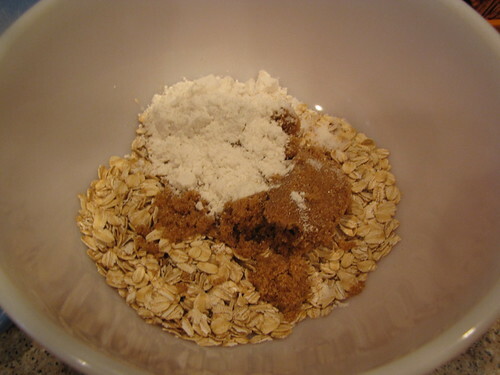 In a medium bowl, combine 1 cup oats (regular old fashioned, not instant), 1/4 cup flour (Gluten Free flour is fine), and 1/4 cup brown sugar. 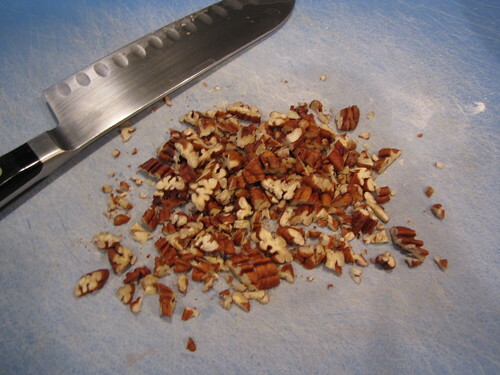 Add a pinch of salt and 1/4 cup of chopped pecans. 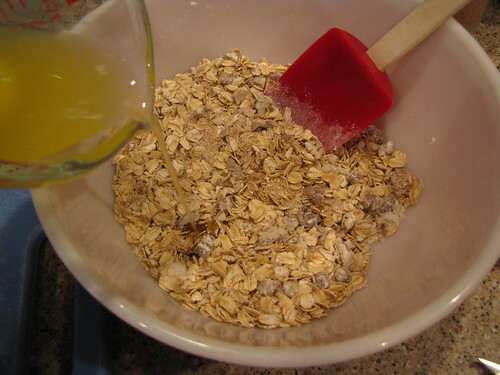 Stir the dry ingredients together to combine. 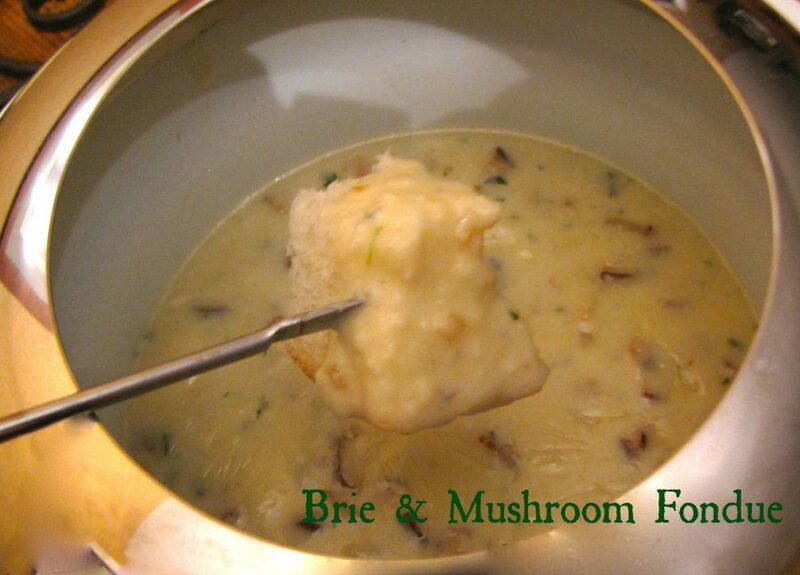 Melt 4 Tablespoons (½ stick) of butter and pour the melted butter over the dry ingredients. 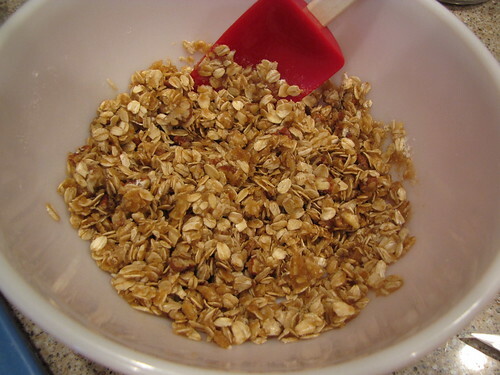 Stir thoroughly until everything is moist and combined. 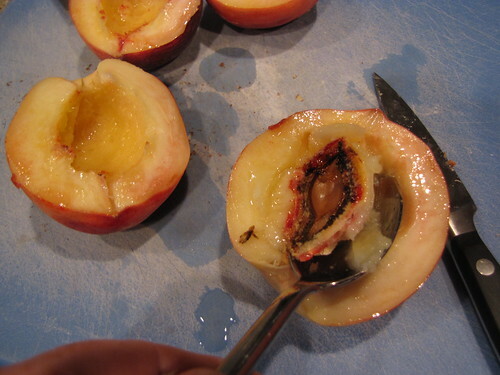 Take 4 ripe peaches and cut them in half. Remove the pit and then take a spoon and carve out just a little more of the peach to make a nice little bowl for our stuffing. Spoon the stuffing into the peaches making little mounds on top once of each half. 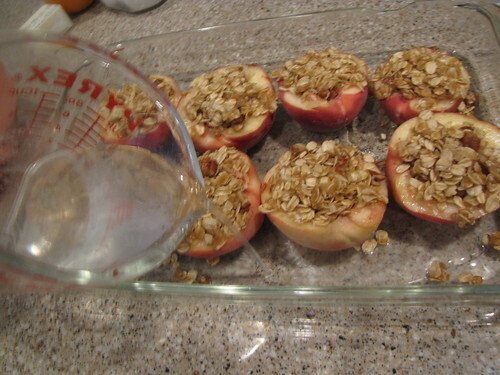 Pour 1/2 cup of water carefully in the pan around the peaches. This helps keep your peaches from drying out and shriveling up as they bake. Bake uncovered at 350 degrees for 20 minutes until soft and golden brown. My oven is running a little cool these days (sigh…another repairman this week) so I popped mine under the broiler for just 1-2 minutes to get them a little more golden on the top. 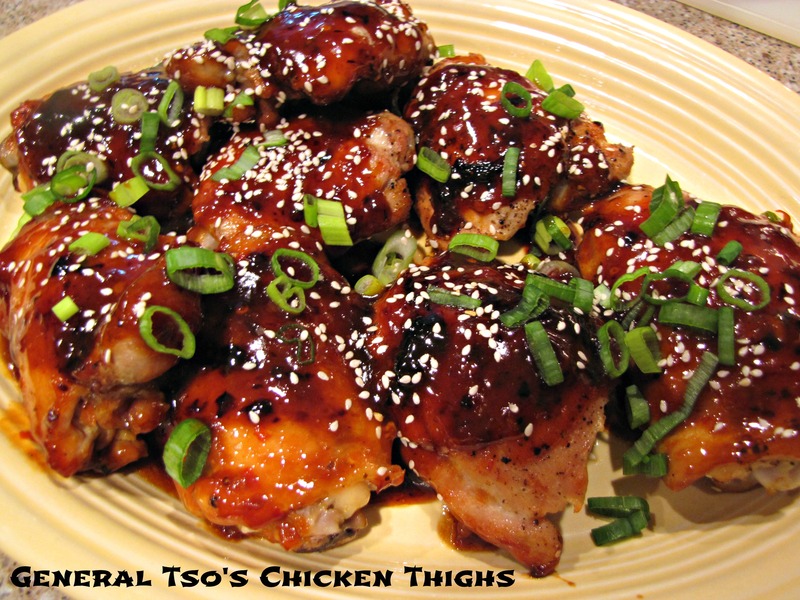 Serve these babies warm from the oven. 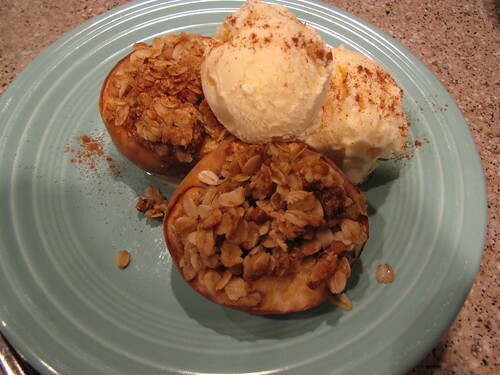 If you make them ahead, pop them back in a warm oven for a few minutes to warm them up before topping with ice cream. Add a sprinkle of cinnamon if you’re feeling festive. 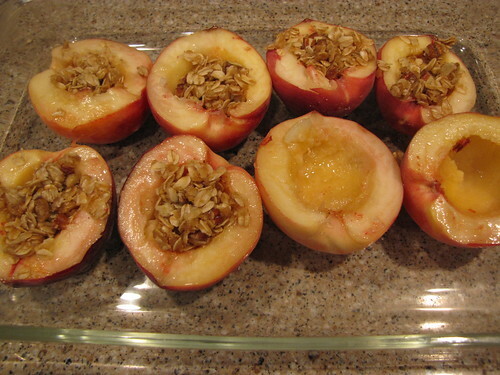 Baked Stuffed Peaches has everything good about peach pie or peach cobbler with a fraction of the work and effort. 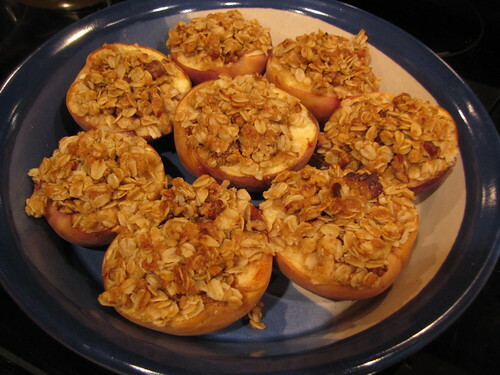 No chopping or slicing – just pretty peach halves happily stuffed with oats and nuts. And brown sugar. And ice cream. First of all, this looks AMAZING. I love peaches, and crispy, and creamy. This has it all. Also, I’m a dork. I wondered why you were stirring a cherry popsicle into the dry ingredients. So I looked on the ingredient list, but didn’t see the popsicle. Then I read through the method. No popsicle. So I looked at the photos again … it seems that cherry popsicle is actually a red spatula AND I’m a dork. 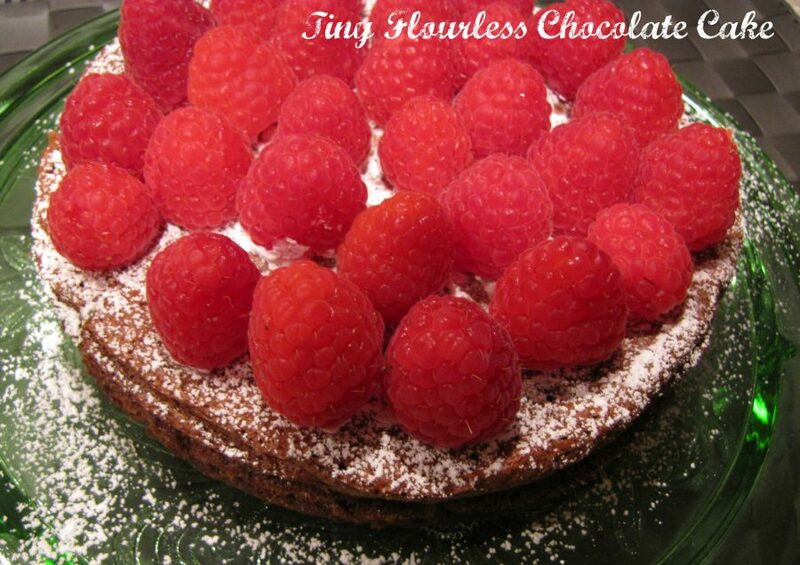 Oh for YUM! This one gets made for tonight!